In their private lives (think iPhone), end users have become accustomed to ordering IT services, apps, or storage space easily and on-demand with a mouse click or the tap of a finger. Many IT organisations are not capable of keeping up with this: their resource provisioning and incident handling processes are not tightly integrated enough, the management solutions in use are too numerous and isolated - and thus, their response times are too long. Therefore, the daily grind at the service desk all too often simply consists of acting as „firefighters“ when incidents occur. It’s time for a change of approach! 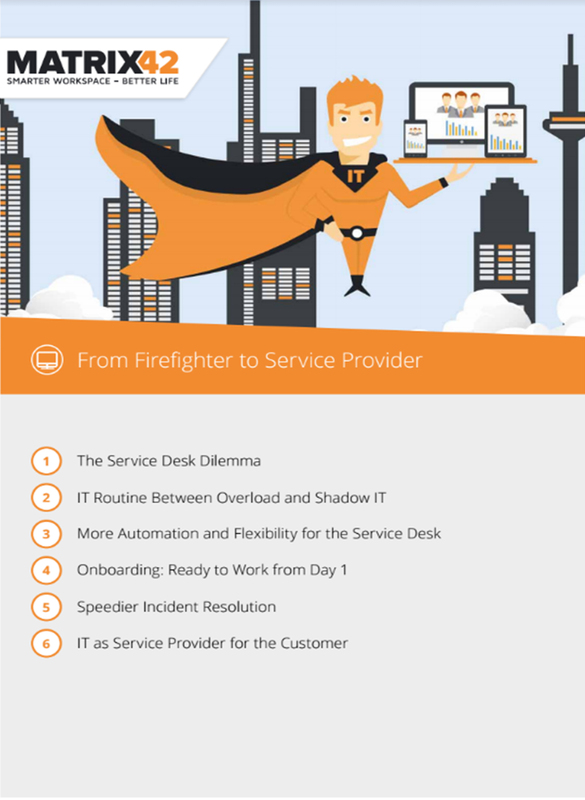 This whitepaper explains to you as an administrator how to turn from a Firefighter to a Service Provider.